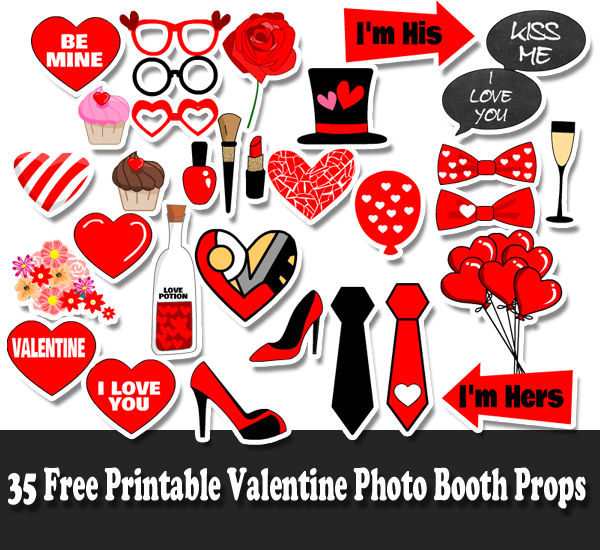 On this page we are sharing 35 Free Printable Valentine's Day Photo Booth Props. 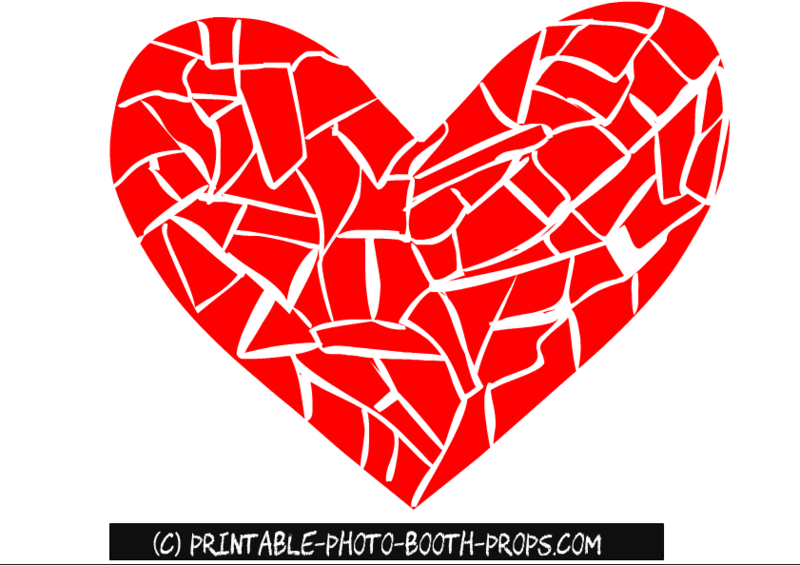 These love filled props will make photos of your Valentine's day extra special. Just click on any of the thumbnail images of these props and then right click and save the bigger image. We have shared the detailed instructions about using these props on the main page of our wesbite. All these props are free for personal use. 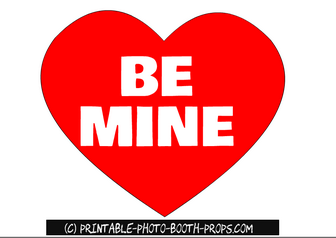 These are two free printable photo booth props of hearts. One is a big red heart and other is a candy heart with stripes. This is a big red balloon prop for Valentine photo booth. 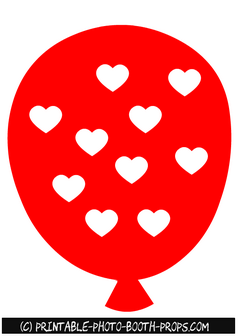 There are cute white hearts made inside this balloon. This is another big red heart with word Valentine written inside it. 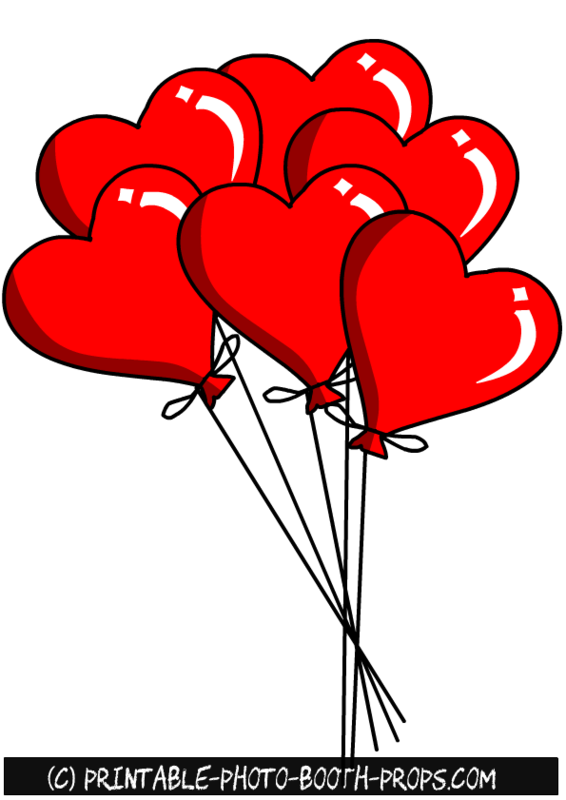 This is a cute free printable prop of red heart shaped balloons. Just click on the thumbnail image of this prop and then right click and save the bigger image. 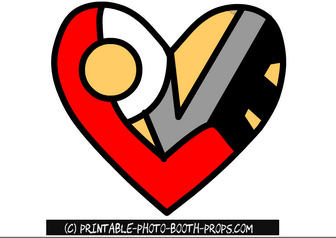 This is a 'Be Mine' red heart prop. 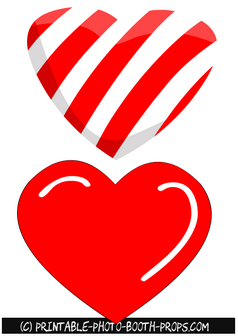 The words be mine is written in white color inside a red heart. 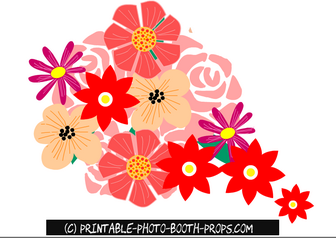 This is a photo booth prop of a flower bouquet. Just click on the thumbnail image of this flower bunch and then right click and save the bigger image. 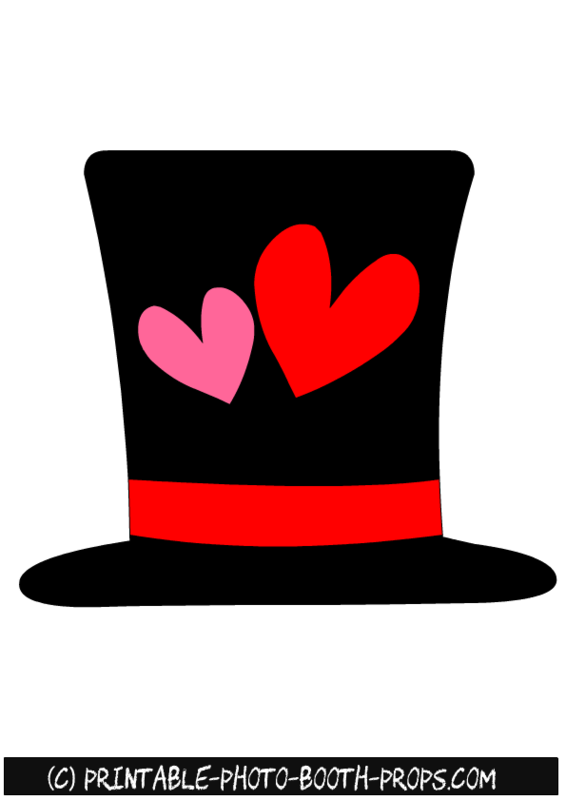 This is a big Valentine Hat Prop with red hearts made inside it. 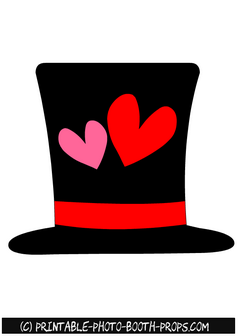 To save more hat props visit this page. 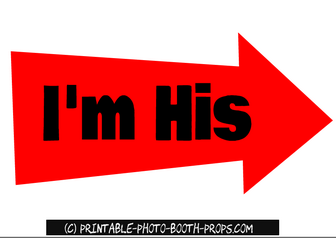 These are three props on page of printables. 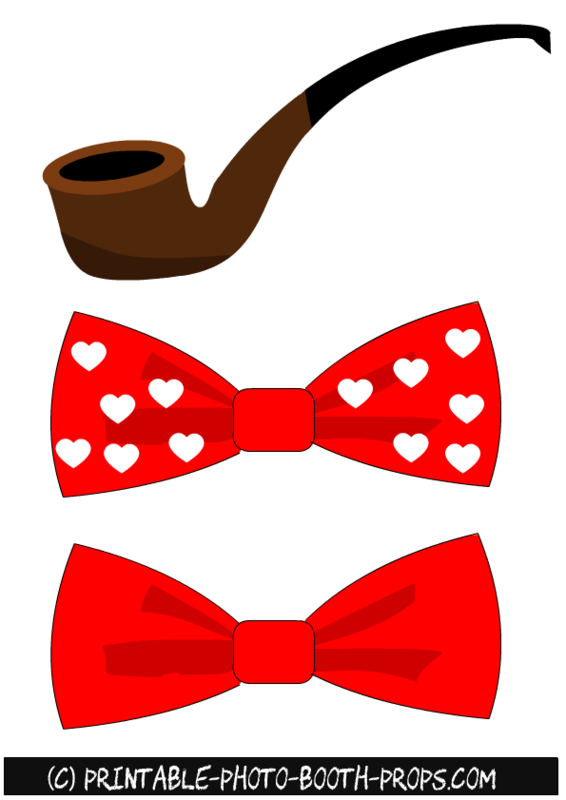 There are two bow ties and one pipe. Just click on the thumbnail image of these props and then right click and save the bigger image. 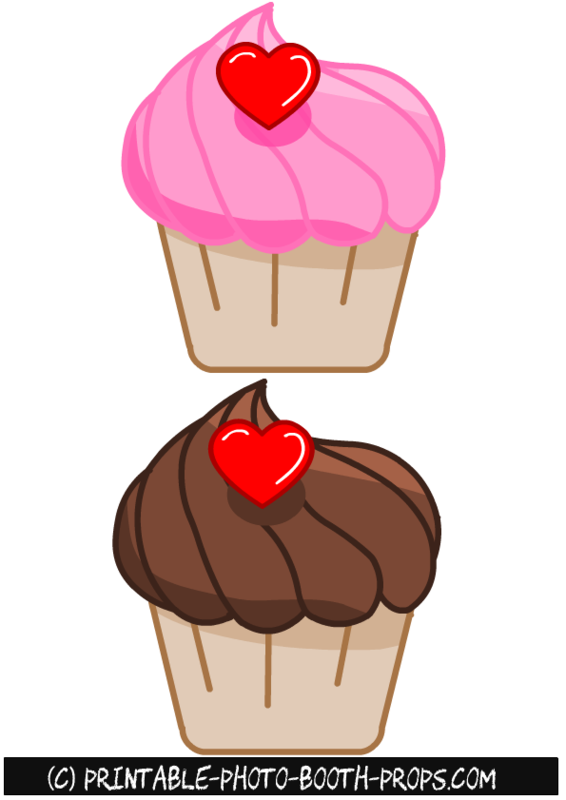 These are two adorable cupcake props for Valentine's day. These cute props can also be used in Valentine's Day decorations. These props are free for personal use. 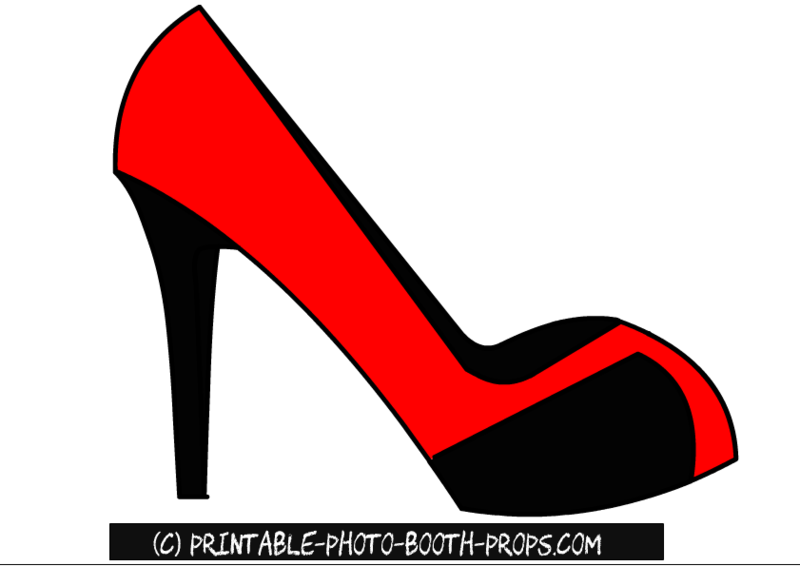 This is a red shoe prop for a fashionista's Valentine's	photo	booth. 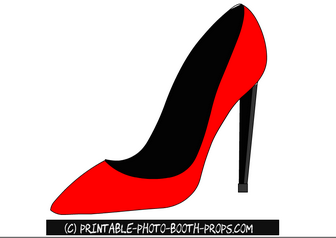 This is a another red and black prop for Valentine's day photo booth. 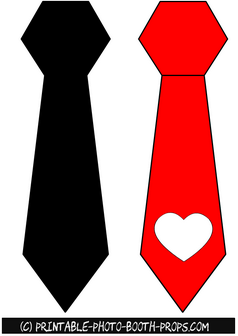 These are two free printable photo booth props of neck ties. One is black and other is in red color with a big white heart. Just click on the thumbnail image of this prop and then right click and save the bigger image. 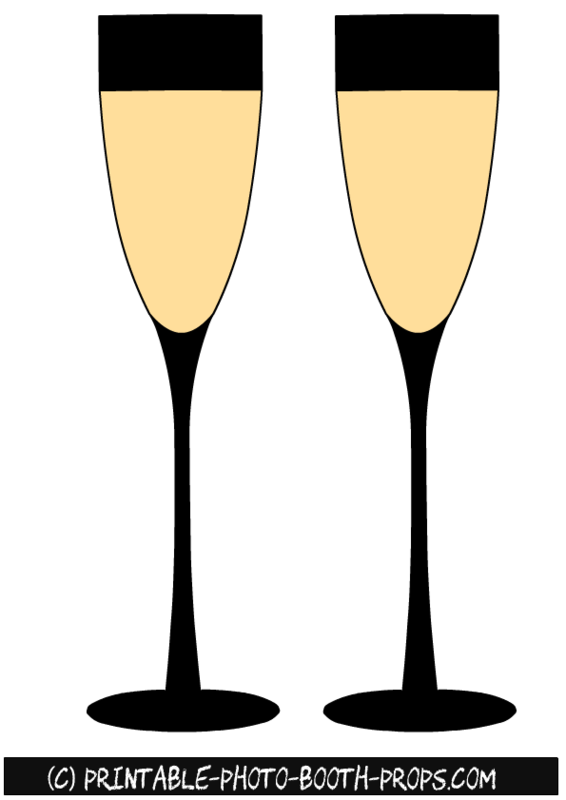 These are free printable photo booth props of two wine glasses. 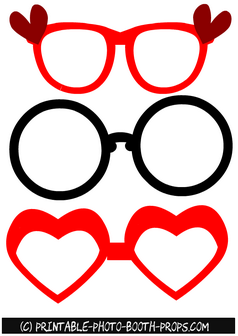 These props can be used on Valentine's party or any other party's photo booth. 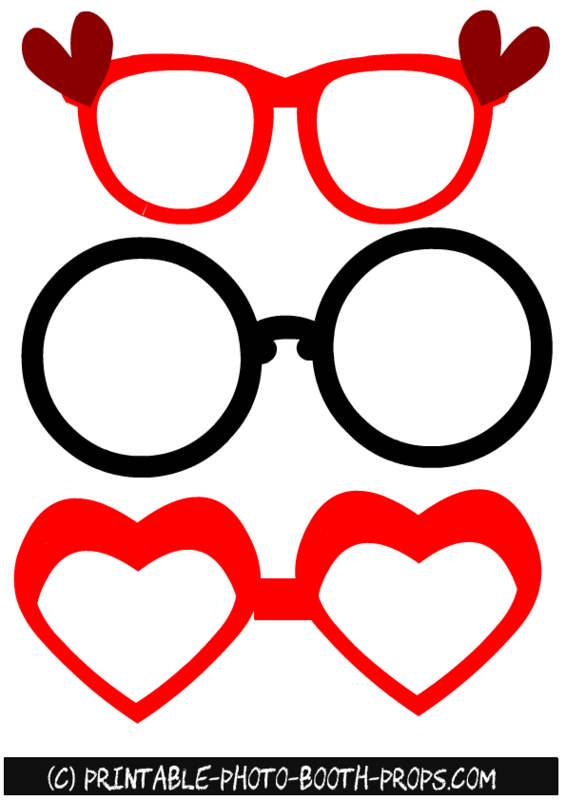 These are three adorable Valentine glasses in red and black colors. 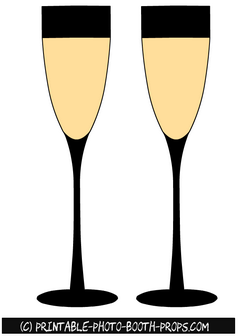 You can decorate these glasses with beads and glitter after printing these. 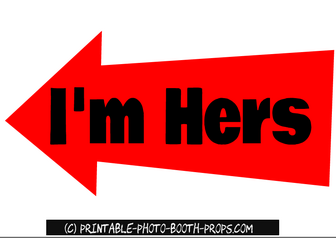 This is a free printable red arrow sign that says I'm Hers. Just click on the thumbnail image of this sign and then right click and save the bigger image. This is a red arrow sign that says 'I'm His'. 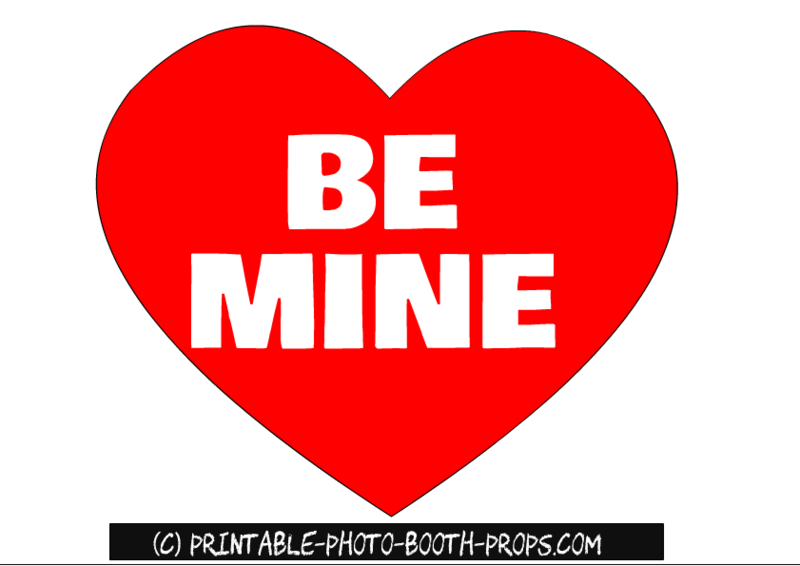 A couple can use this sign and the sign above together to get some wonderful love filled pictures taken on Valentine's Day. 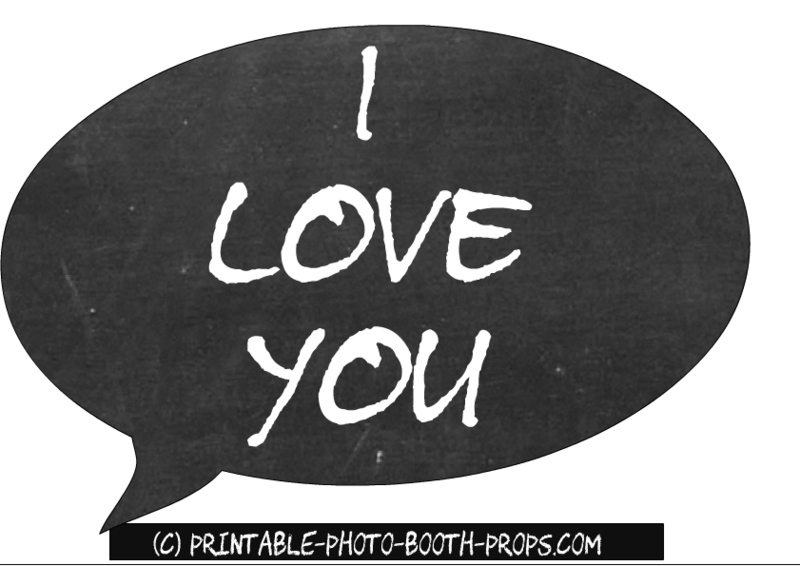 This is a free printable I love you speech bubble prop in chalk board style. Just click on the thumbnail image of this prop and then right click and save the bigger image. 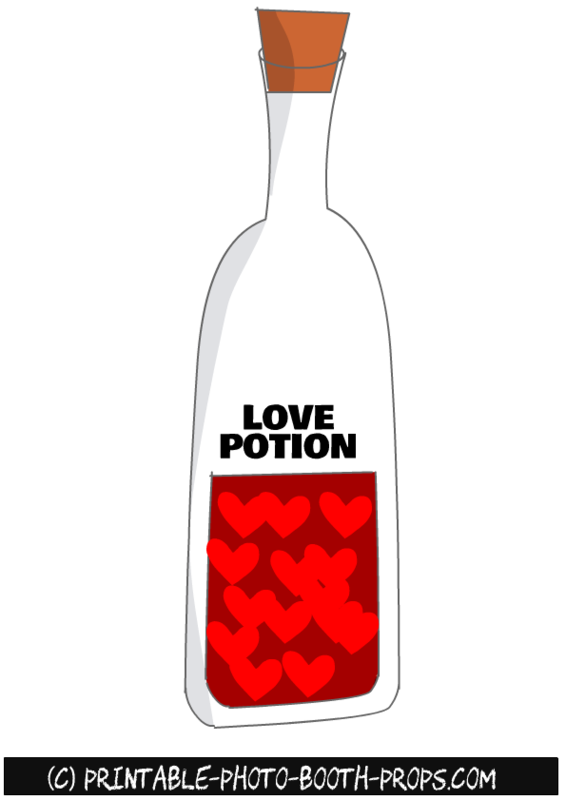 This is a perfect prop for Valentine's Day. 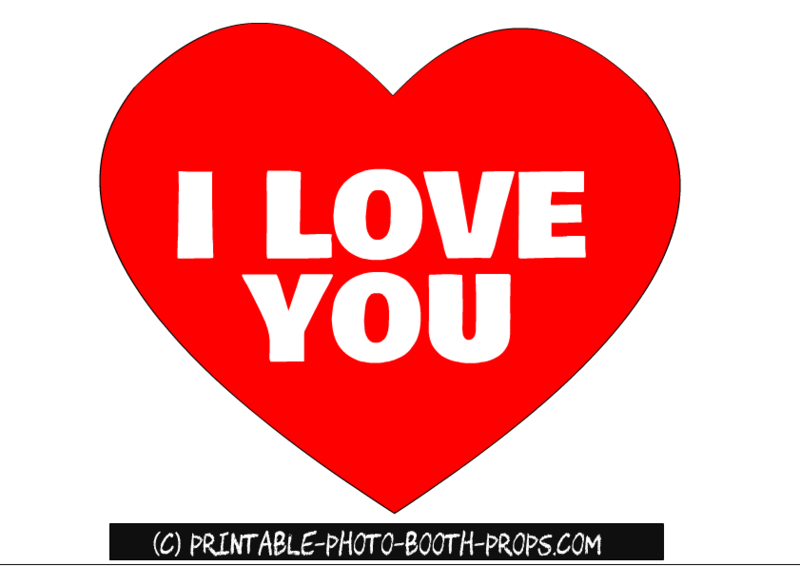 The words I love you are written inside a big heart. 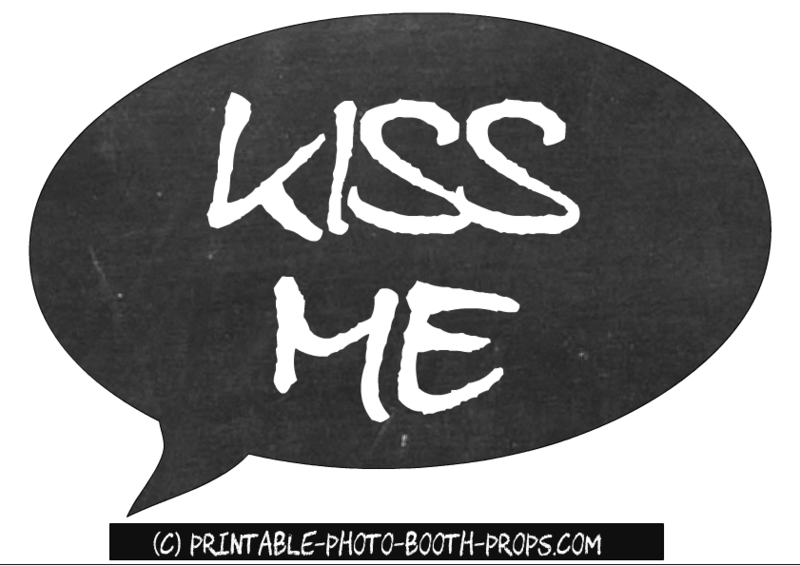 This is a 'Kiss Me' speech bubble prop in chalk board style. Just click on the thumbnail image of this prop and then right click and save the bigger image. This is a free printable love potion prop for Valentine's Day. You can take some funny and fun filled pictures with this prop. 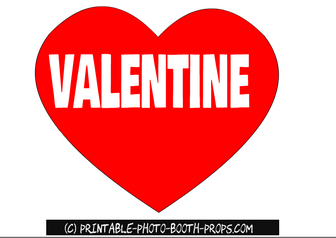 This is an adorable free printable prop of a heart with word love written inside it. For best result print these prop on a heavy card stock paper. Here are some make up props for Valentine Photo Booth. 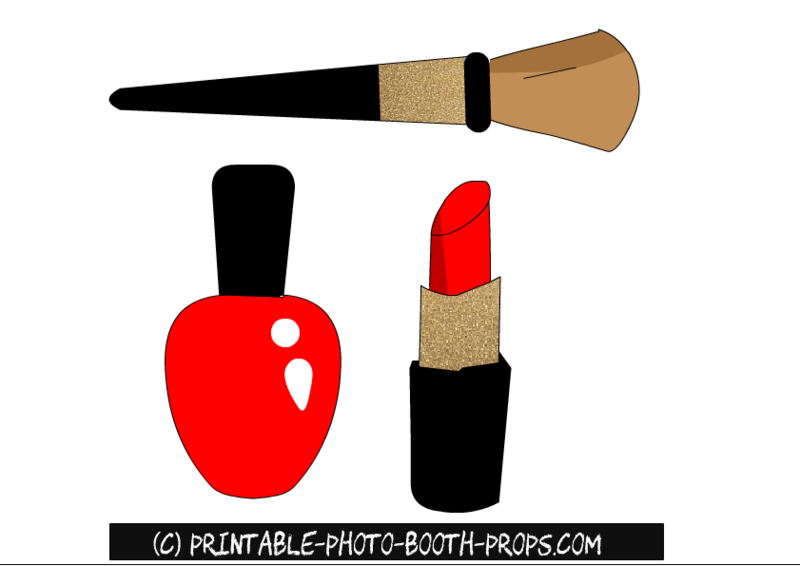 We have made a make up brush, a nail polish and a lipstick. This is prop of a heart broken in many pieces that are held together. Just click on the thumbnail image of this prop and right click and save the bigger image. 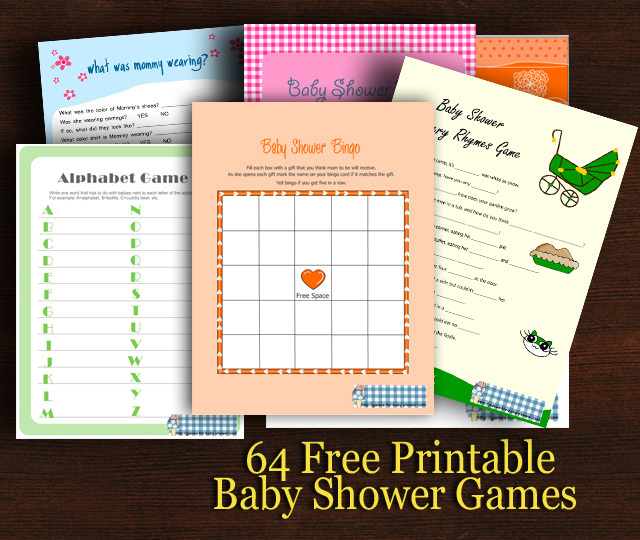 Please share the thumbnail images of these props on Pinterest and share the links to this post on Facebook and other social media platforms.